Do Cheaper Clothes Really Save You Money? You've signed up to a handful of e-newsletters from your favorite designers and at least twice a week one of them is having a sale. And when that email comes through, you can't resist the temptation to buy one or two items…It's so CHEAP! How can you NOT buy something?! Two items isn't so bad, right? But when it happens again while out shopping for that one thing on your list you actually need, it starts to add up. You walk into the store, and all the sale items are neatly displayed front and center…taunting you. You grab a few things. You're saving money. Buying your clothes on sale is a good thing…right? After all, you COULD use a new sweater…even though it's not what you came for. …until the end of the month and you check your credit card bill. You save money by buying cheaper clothes. I would be remiss to say I'm immune to a good sale or bargain rack. The temptation is great — absolutely! Sales are everywhere. ‘Cheap’ clothes are abundantly available with a click of a mouse or the tap of a credit card. But does cheap equal less expensive? In the moment, sure. But in the long run, the simple answer is, no. Buying clothes and shoes at incredibly low prices often means you’re compromising on something else. 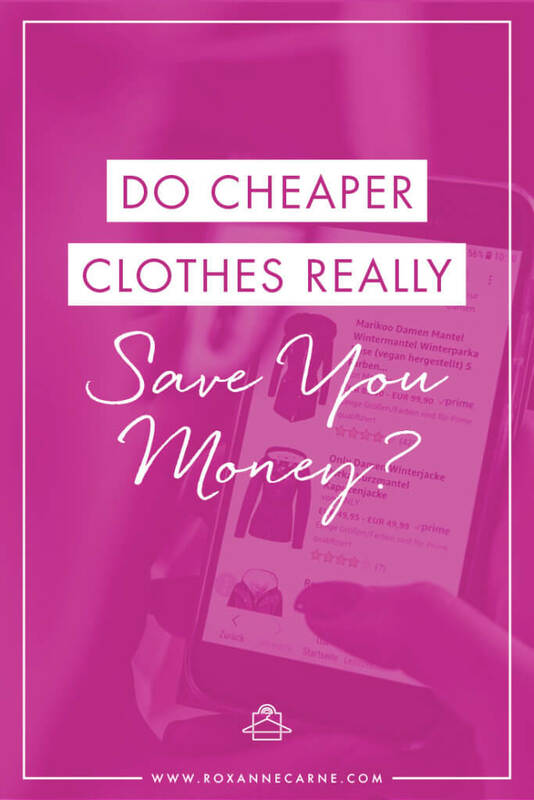 Aside from the ethical issues surrounding fast fashion, the inexpensive clothing may wear out sooner, or you might rationalize getting rid of clothes sooner because of the price. What I've learned over time, and want to share with you, is that buying pieces I absolutely LOVE has had the most significant influence on my wallet and satisfaction with my wardrobe. I buy items I know I need and will wear, and are aligned with my values because I'll cherish them and keep them longer. A good mantra to consider when shopping is, if you wouldn't pay full price for it, you probably don't need it. You're more likely to value something you've paid full price for. If you see something you love, by all means, shop around and see if you can find a lower price tag, or wait for it to go on sale. But if it's something you WOULDN'T pay full price for, leave it on the rack. A bigger wardrobe does not equal a better wardrobe. It's easy to assume that the more clothes you have, the better. You'll never run out of things to wear and you can put an outfit together in a hurry. But, the reality is, you'll resort to wearing your favorite items most of the time. And far too many items will act as dust collectors at the back of your closet. 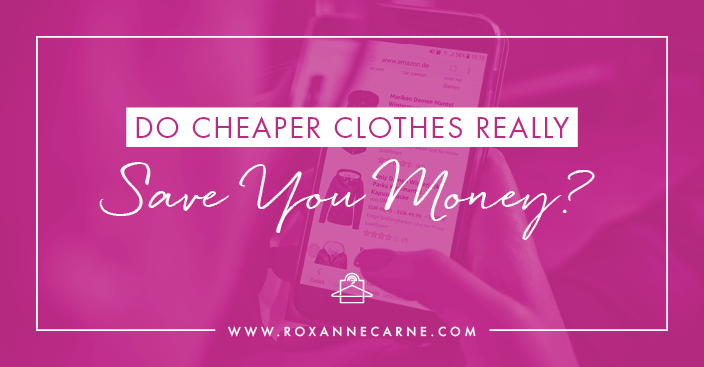 You will value your clothes more when you spend more money on them. As a result, you'll take better care, and they will last longer. 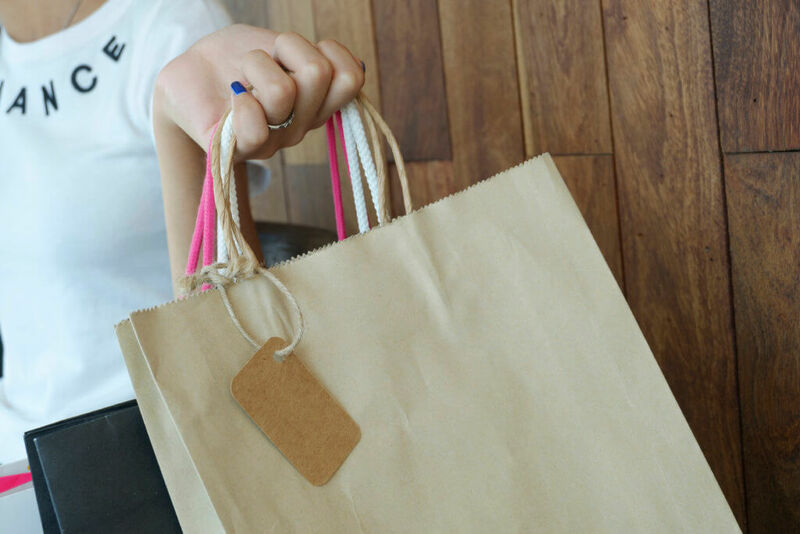 Fashion writer, Mark Bain, suggests employing the tactic of setting a price for each piece of clothing you buy that causes a little bit of pain at the checkout. The price of the clothing we consider purchasing should be high enough that it “hurts” at least a little. He reminds us that cheap clothes are cheap for a reason. And that spending more on each purchase will result in buying less. Eliminating the dust collectors will also help you get dressed faster. If you have a sweater you haven't worn in a while and feel bad that it's not seeing any action, you'll spend unwanted time trying to work it into your outfit. And it's worse if you wear it because you feel obligated. You'll end up spending the day wishing you'd just worn the other sweater you know you love and feel fantastic in. It's not just about the price tag, either. If you eliminate price and only consider purchasing what you need, you'll avoid filling up your closet with clothes you don't wear and duplicates of items you already own. You end up with higher quality clothes that last and you feel happy in when you wear them. You can't get back the money you've spent on clothes you didn't need. But what you can do, is learn how to break the habit of reaching for cheap items, and start buying clothes that you love, are of good quality, and won't go out of fashion in six months. …your new good shopping habits will replace your old ones and you'll be on your way to purposeful shopping. >>>Keep a running list of clothing items you'd like to add to your wardrobe. I suggest keeping this list on your phone or a notepad that you always carry with you so when you're out shopping you can refer to it. It will prevent you from straying and impulsively buying something you don't need. >>>If you're online and you see something you like, add it to a folder in Pinterest. This way you can look at everything you've added once a month and decide if they're items you really need. >>>If shopping is how you burn off steam or spend time with friends, try something new! It's the perfect opportunity to pick up a new sport or leisure activity — 10,000 piece puzzles, anyone? >>>Learn your triggers. Oftentimes shopping is an impulsive reaction to bad news or a tough day. Not unlike overeating, it is a learned response to something in your external world. >>>Stay strong. If you are surrounded by shop-a-holics, do your best not to give into peer pressure. It's easy to get caught up in the moment and join in on the ‘fun’. If you need to avoid situations that encourage this, perhaps take a break from your compulsive shopping friends…you can catch up over wine another time! >>>Look for ethically made clothes. They are harder to find and usually have a higher price tag — this will keep you from buying the $10 t-shirts. You can feel good knowing you are supporting the workers who made your clothes and you have a high-quality wardrobe made with healthy fabrics. Win-win! Not sure what items to focus on when out shopping? A Closet Edit is always a good place to start. I can go through your closet with you and together we can figure out what should stay and what should go. We start with the basics and add essential items…there’s a system!